The editorial team here at Petersen's Hunting is full of gear junkies. If it can kill it, grill it, get you there, or keep you alive, we want to know about it. And we want to test it. For the past five years, we've turned our gear love into the Editor's Choice Awards. Best-in-class products that embody the ideal combination of quality, craftsmanship, ingenuity, and value are given these awards. Hundreds of products are thoroughly tested by staff writers and editors in real-world conditions. Where scientific measures can be used for quantifiable results, they are. Where they can't, years of hunting experience and practical field knowledge become the yardstick. The Annual Gear Issue lists the best of the best products for over 20 categories spanning from centerfire rifles to arrows to headlamps. To be included is a testament to a product's quality, but there can only be one Editor's Choice winner per category, so let the games begin. 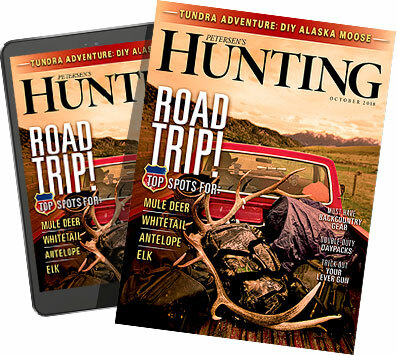 To see all of the other 202 torture tested products, head to the newsstand and pick up a copy of the Petersen's Hunting Gear Annual.